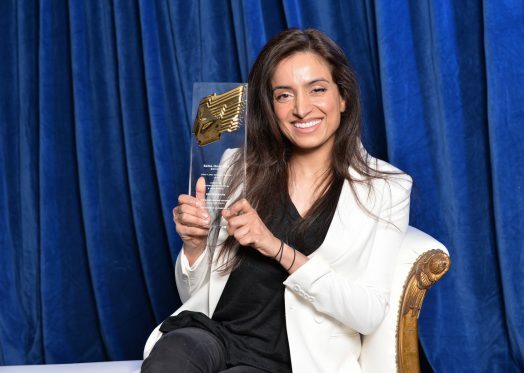 On Monday 26th November, Fuuse founder and filmmaker Deeyah Khan was awarded a prestigious Royal Television Society (RTS) Award for her film White Right: Meeting the Enemy in the ‘Director – Documentary’ category. The film documents Khan’s encounters with American neo-Nazis. The RTS Craft & Design Awards recognises excellence in broadcast television. They are considered the gold standard of achievement in the British television community. White Right: Meeting the Enemy has also won an International Emmy, the special Jury Prize at Monte Carlo TV Festival, an Asian Media Award and a Rory Peck Award. For viewers in the UK and US it is available to view on Netflix. In Norway the film can be watched on NRK.